This blog is about living and coping with chronic pain, managing pain with and without medications as well as new research into chronic pain. 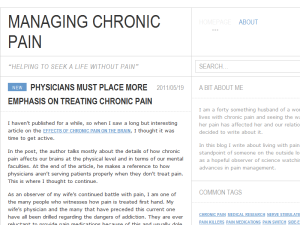 This what your Managing Chronic Pain Blog Blog Ad will look like to visitors! Of course you will want to use keywords and ad targeting to get the most out of your ad campaign! So purchase an ad space today before there all gone! I haven’t published for a while, so when I saw a long but interesting article on the effects of chronic pain on the brain, I thought it was time to get active. In the post, the author talks mostly about the details of how chronic pain affects our brains at the physical level and in terms of our mental faculties. At the end of the article, he makes a reference to how physicians aren’t serving patients properly when they don’t treat pain. This is where I thought to continue. As an observer of my wife’s continued battle with pain, I am one of the many people who witnesses how pain is treated first hand. My wife’s physician and the many that have preceded this current one have all been drilled regarding the dangers of addiction. They are ever reluctant to provide pain medications because of this and usually dole out the drugs in small amounts. In many cases, this serves to fight the pain when it flares up. Unfortunately, it is not helpful when more medication is needed the next time the intensity of the pain ratchets up. This leaves my wife having to book another appointment just to beg for another round of pain medication. This sort of approach to distributing the pain medications also does little for those in chronic pain leaving me to really question whether addiction to the pain killers is in any way worse than the pain itself. I also have to wonder whether there aren’t better ways to provide patients with pain medications. A standing prescription at a pharmacy and a rationing of pills per week would surely limit the ability of patients to abuse these drugs significantly. It would also ensure patients didn’t have to wait for the medications when pain is significant. This assumes though that the doctor provides the medication in the first place. Some doctors simply cannot be convinced of a patient’s pain. Here is where I hope the increased understanding of pain and brain outlined in that article helps patients. If a patient is in pain, a brain scan should prove that they aren’t telling lies. A doctor no longer has to “trust” the potentially addicted patient at his word as much and can rely on the tests instead. He can trust the patient when he has proof to go on… It’s not perfect but its better than what pain sufferers have now. With a considerable number of people living with chronic pain, research into ways to alleviate this pain is always ongoing. 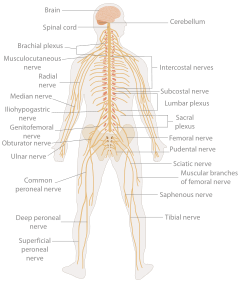 We hear a great deal about drugs, and my last post on drugs that target the peripheral nervous system shows that these drugs have great promise. A lesser known area in treating pain is the area of devices. Specifically, research that is especially relevant to those who want to minimize the drugs they take and for people who don’t benefit from these drugs is the area of nerve stimulation devices. These devices work by applying an electrical signal to the nerve in order to block or reduce the pain signals that are being sent. In some cases they are “installed” in the body during surgery, and in other cases the devices can apply the electricity through the skin. These devices are definitely not new, but they are being refined making them more effective in treating pain and allowing them to treat more types of pain. Ongoing research is making progress in using these devices to reduce the levels of pain experienced. Two different recent studies found some significant benefit from nerve stimulation. In one case, for those with chronic migraines, the research found that electrodes implanted just under the skin in the scalp near the relevant nerves were able to cause a reduction in pain. The study found that 40% of those using the device were able to cut the number of days they were absent from work in half. That’s a pretty promising set of results. The other research was about more general pain. In this case, the researchers found that test subjects treated with specific nerve stimulation felt less pain and pressure when it was inflicted upon them. Although their results are not exact, the results showed “statistically significant” differences in perception of pain. For those who don’t know what that means, it is essentially means there was a measurable difference. While this does not sound as exciting as the first research, any progress made is some level of good news. I have my own theories as to why drugs get more attention than devices. I suspect that the devices don’t make the inventors as much money because someone needing the device only buys it once versus the pain killers that they will be needing regularly. In any case, it is good to see some progress being made with these devices. I think most people in chronic pain wouldn’t mind being wired up if it meant less pain and fewer addictive drugs or insufficient treatment for their pain. One of the biggest obstacles to the management of chronic pain is often the drugs themselves that limit the pain. These drugs are often addictive, have side effects and lose effectiveness with ongoing use. As a result, they often cannot be used on an ongoing basis and they significantly reduce the quality of life for those taking the drugs over time. Because of this, I was very excited when I found a press release from some researchers at Stony Brook University who are close to marketing a painkiller that has neither addictive properties nor side effects. In the field of pain management, this sort of news is virtually unheard of so many people will also be excited over the release of this drug. Part of what is so impressive about this drug is just how selectively it targets the transmission of pain in certain nerves. In particular, the drug targets only what are called the peripheral pain nerves leaving the central nervous system unaffected. This is important because effects on the central nervous system are what cause the familiar side effects of nausea, dizziness and drowsiness seen in many painkillers. In many cases, these effects can have almost as severe an effects as the pain itself. For those who are suffering from any of a number of different cancers, some types nerve pain, migraines, burns, etc, this new drug will mean the difference between coping with the pain and living some aspects of a normal life. For doctors, it will mean no longer having to worry about risks of addiction when deciding how long a patient can use the pain killer. Overall, it seems good news for all parties who must deal with chronic pain. Depending on the country, the drug is in various stages of clinical trials so it will be one to two years before it hits the market. Although this is undeniably an eternity for anyone currently suffering severe pain, it does point to a promising future in the management of chronic pain. It goes without saying that chronic pain can really play on ones well-being with the ongoing energy-draining feeling it causes. It is especially bad when we have no control over pain and cannot predict when it will come. While diseases like arthritis are bad, and limit a person’s movement this type of pain can allow individuals some moderation of the pain based on their choice of activity. Other conditions like neuralgia, however, involve pain in the nerves themselves and as a result can exist without any stimulus. Many of these types of pain do not respond to typical pain killers making them all the more difficult to manage. These are the types of pain that serve the body little benefit. Diabetic neuropathy is one form of nerve pain in which the pain is severe and of little value. The pain is caused by nerve damage so the pain comes from the nerves themselves reporting that something is amiss. Almost 60 to 70% of diabetics have some form of neuropathy meaning that there are a lot of people with with this pain. The pain is sometimes reported to feel like having the extremities on fire with this condition making for a very miserable existence indeed. Then there are types of pain like that of the “suicide disease” named for the condition trigeminal neuralgia. 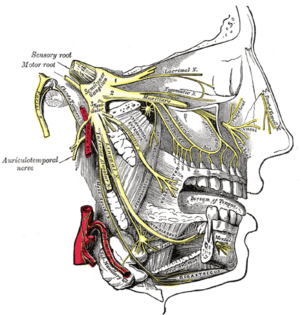 I read an older article on facial neuralgia that shows just how bad the condition can be. Essentially, the condition arises because of a pinched nerve on the side of the face. When the pain of this condition arises, it is compared to being stabbed in the face; not a pleasing description. No wonder the condition is called the “suicide disease”. In some cases, people will experience the sharp pain numerous times per day. Miserable. As I have learned many times, not all types of pain are created equal and sometimes the worst pain can from the nerves themselves rather than some injury to the tissues of the body. This is when the nerves of the body and the sending of pain signals are not useful. I read a good article at Forbes about how people really don’t understand the premise of health insurance. Based on the numbers, about 60% of people are in opposition to the health care reform bill and most of this opposition comes as a result of individual distaste for the mandate to buy health insurance. At the same time however, roughly 60% of people don’t like the idea that insurers can drop people who cost too much or have preexisting conditions. Crudely put from these numbers, it seems that 40% of the population sees it as alright that individuals can buy and cancel health insurance when they wish to but that insurers cannot choose when it is convenient to them to pay medical bills. This smacks of serious ignorance to the whole concept of insurance or is potentially simple selfishness. A system where one side is bound by rules, but the other is not cannot hope to maintain any balance. Unfortunately, the Democrats blew it badly in communicating to the public why everyone needs to buy health insurance for the system to work. The whole health insurance system works on the basis that the number of dollars consumed by people drawing from the system is fewer than the number of dollars contributed by policy holders. If individuals are not compelled to buy health insurance, then situations like poor economic conditions can allow those who are not in need of insurance to drop coverage meaning that others must take up the slack with higher premiums to cover the people who are using insurance. As the recent Kaiser report shows, the number of uninsured is rising with roughly 1 in 6 now uninsured. They are uninsured because they cannot afford it or have other priorities. For those with chronic illness or those who have become ill, there is no choice as they need treatment so they are trapped. If economic conditions worsen or stay as bad as they are, this number will only continue to increase putting ever more pressure on those for whom there is no option. Regardless of whether individuals have no health insurance or have costly insurance, they are experiencing or at risk of pain. The risk of pain comes to those without insurance if they are suddenly in need of health services. They will have to pay out of pocket or accumulate significant debt to access health services. The pain now comes now for those who are paying excessive premiums simply to maintain their insurance. In either case, financial pain is the result of not choosing to work together to share the costs of health security. As citizens of the most powerful country in the world, this stance is backward and something we need to change. I read some research news that should be of interest to those affected by chronic pain. Researchers from the University of Aberdeen have found a genetic ‘switch’ that turns on pain. In addition, the switch can be turned on by the same chemical that gives hot peppers their heat, capsaicin. Now, turning on this switch is of course not the goal, but this finding is important because scientists are making progress in developing an understanding of the causes of chronic inflammatory pain. By understanding which switches are responsible for this pain, researchers will someday be able to develop medications that turn it down or shut it off when it is no longer serving a purpose. Needless to say this would be of incredible benefit to anyone with chronic disease and those with terminal illness and unrelenting pain. If you are the owner of Managing Chronic Pain Blog, or someone who enjoys this blog why not upgrade it to a Featured Listing or Permanent Listing?